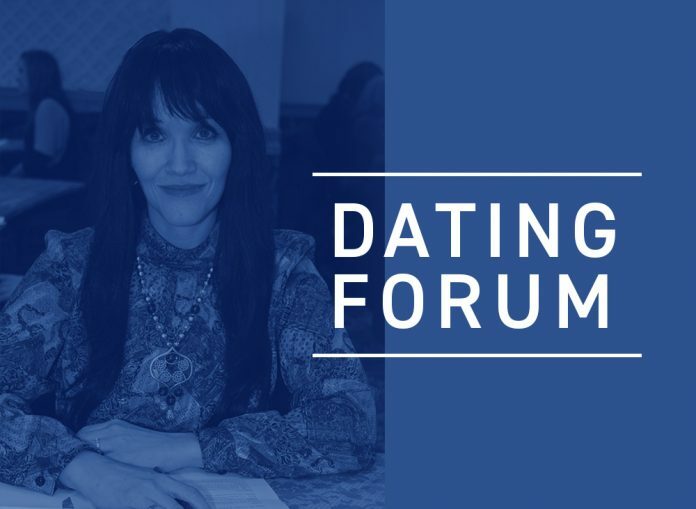 Home This Week's Edition Advice Dating Forum: Can Introvert and Extrovert Work? I’m an introvert, and I am going out with an extrovert, a girl who talks nonstop. She doesn’t just talk about life; she always talks about herself. She can stay on the phone for hours — and I don’t have to say a word. One time I even fell asleep, and when I woke up she was still talking. It must have been like two hours. I was married before at a young age, and I have sisters, so I know women love to talk, but this is crazy. I am also sure that she thinks she is better than me because she was never married. I am a ben bayis at the people who set us up. I told them what I’m worried about and they said I should be happy that she even wants to date me. They are right about that, because most young girls don’t date divorced guys, and I only wanted to date and marry someone who was never married. 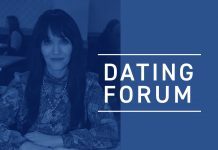 Should I continue to go out with her and try to not let it bother me, or should I end it even though there’s a chance I won’t find any other never-married girl to date? The way I understand it, you are being encouraged to continue a relationship for no reason other than the chance that you might never again find someone to date who has never been married. If that weren’t so bizarre, I would call it repulsive. What is this sickness some people have that they feel they have the right to use someone’s status in life for some personal advantage, specifically where it relates to shidduchim? Although the shidduch system nowadays leaves much to be desired, I can’t blame everything on that. The problem is that because people in that situation are so vulnerable, there are those who will use it as leverage. Call it their five minutes of power, if you will. And then you have (hopefully) a minority who will use it to coerce someone into marrying a person he or she doesn’t feel compatible with. That the people who were mekarev you introduced you to someone is a wonderful act of chesed. The problem is there are issues here that may or may not be workable. Instead of attempting to help you look into this relationship and find a way to make it work for both of you, they are instead threatening you that this young lady is your last chance at happiness. That is not only unfair — there is also no reason that you need to shoulder the responsibility if it does not work out. On the other hand, maybe they think it is you who is being unreasonable, so this is their poor attempt at tough love. Let’s talk this through and see if there is still the chance that you might be able to salvage whatever it is you have going with her. That said, we will now focus on this girl you are dating and your relationship. Men communicate very differently than women. For the most part, women are usually more expressive than men. And sometimes what a guy can say in a few sentences, a woman might share in an extensive tale so that the listener will get the full picture. I’m not saying for sure that’s what is happening in your case, but I want to put that out there for you to ponder. Also, when guys get together with their male friends, they rarely talk about their feelings and how they relate to their lives. Their association primarily consists of focusing on goals and activities. A woman might feel compelled to not just talk about the goal of what she is doing, but also how she feels about it. Some women even like to theorize about the situation. You started off your letter by saying that she is an extrovert, while you are an introvert. And while that may be true, other than your opinion of her excessive speech, you don’t give any information regarding her personality. However, even if she is an extrovert that does not mean that she needs to marry an extrovert. I do see that chain of thought in the shidduch world. People feel that husband and wife need to be equal in their personas. That is a myth. On the contrary, I find that in many healthy relationships, one partner is an introvert and the other an extrovert. It can work because they help balance each other out. There is another piece to this quandary. When people are comfortable with one another in a relationship, they are more prone to opening up about themselves and can talk endlessly. Being with someone who puts them at ease makes it easier for them to unleash the talkative side of their nature, even if they may not always be that way. The fact that you remain quiet while she talks might be taken by her as a sign that you enjoy listening to her. It is possible that she thinks you want to hear what she has to say! Have you ever tried to tell her you need to get off the phone? I find that many relationships fail because one side is not honest with the other about what bothers them, and instead of fixing a problem, they go running for the hills, thinking it might be better with someone else. My question to you, though, is does she allow you to get a word in edgewise, or does she insist on monopolizing all the conversations? I understand that her endless chatter is going beyond your comfort level. Being on the quiet side, you are likely content to exchange a few sentences—not just on the phone, but even while on a date—as a means of conversation. There are many happy marriages where the husband and wife—while still communicating—do not talk all that much. It is possible that you might have been raised in such a home or maybe envisioned that sort of relationship for yourself. Sometimes people tend to talk a lot while with a quiet person just to fill the silence. Or she may not want to end the conversation, so it is possible that she keeps on talking just to extend the time she gets to spend with you. On the other hand, there is a possibility that her incessant speech might indicate a serious issue. Talking too much in and of itself is not necessarily a major problem, unless she is talking to you, rather than with you. My concern would be if she never asks you any questions at all about yourself or about how you are doing or how you feel about something. Another question I have is whether she tends to interrupt you when you do try to speak or if it’s that you never have anything to add? I want to touch upon your belief that she thinks she is better than you because she was never married and you’re divorced. Why do you feel that way? Is it possible that it’s really your own insecurities playing tricks on you? If she really had an issue with it, I doubt very much that she would be in a relationship with you. Not only that, but if she has a cheery disposition and open-minded personality then she is likely judging you for the person you are, rather than what happened earlier in your life. The first thing I advise you to do is to get rid of that chip on your shoulder that you were married before and she wasn’t. As long as you feel that way, your relationship will end up disintegrating one way or another. I feel that it would be in your best interest to look into this situation further by discussing it with a professional or someone you trust. You cannot do this on your own. Additionally, you need to understand yourself and how you come across to others because the way you present has much to do with the way people treat you or respond to you. Regarding the people who introduced you to this girl, you should no longer discuss with them anything pertaining to your relationship with her. They are only making matters worse for you. I need to add this: Unless you are a kohen, I hope you are not specifically seeking only someone who has never been married. If you really like this girl, I recommend that you try to interject when she speaks and see if she quiets down and listens to what you are saying. She might surprise you and reverse the roles, giving you the opportunity to talk a bit more; she might even be able to get you to open up where you never have. Alternatively, you can use positive reinforcement if you really prefer quieter interaction. Tell her that as much as you want to hear what she has to say, you would rather have more periods of peace and quiet, and that you find silence together comforting. She may actually go for that! 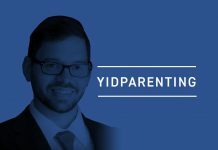 Baila Sebrow is president of Neshoma Advocates, communications and recruitment liaison for Sovri-Beth Israel, executive director of Teach Our Children, and a shadchanis and shidduch consultant. She can be reached at Bsebrow@aol.com. Questions and comments for the Dating Forum can be submitted to 5townsforum@gmail.com. Read more of Baila Sebrow’s articles at 5TJT.com.